I have a great blog entry that I worked on yesterday evening when I was feeling rather philosophical... but first... "this just in"... on Fox News... certain brands of birth control pills are being recalled because they don't contain enough of the pregnancy preventing medication. Talk about a Whiny Wednesday! I'm feeling poorly today. Worn out. Drained. Dizzy. Weak. In a good bit of pain. Stuffy nose. And so on and so on. I just want to crawl back in bed and stay there. But not really. I'll never wish for that again, trust me. My recheck with the surgeon yesterday was awesome! "Best outcome we could have expected." Everything healing really well. I don't have to go back unless I start to have problems again or ... until my next colonoscopy in several years. Gotta still keep doing the things I'm doing for Optimum Hiney Health ... which was not something I had ever given any thought to previously... but I'm so relieved to have that painful chapter of my life over. The day I found out I needed surgery, I bawled my eyes out for hours... from fear, uncertainty, etc. I'm just delighted to be on the other end... so to speak... of things. And not since potty training have I been praised for "doing a good job" cleaning up... there. You've gotta love that. My back pain has been back with a vengeance this week. I've had some of those old lingering symptoms of not having enough strength to stand up if I've been sitting too long... numbness... the feeling that my vertebrae are collapsing on each other... weakness in my hands... I dropped a tin of altoids in my lap yesterday morning and I dumped a salad out into my console in my car during lunch. I'm not discouraged by these things because I have had a glimmer of hope that the right combination of things CAN make it better. It might not be better at this moment but it CAN be. Both times I was so desperately shattered. We all have the mental image of a bride in all her optimistic splendor walking down to join -before God and man -with a man she sees as her “happily ever after” and sometimes, sadly, he’s just not. I also have a very vivid mental image of a woman alone with whatever is left behind when someone walks away… children to raise… debts to pay… and fear… oh, the fear… that grips her heart. It goes beyond what the human mind can comprehend, a pain so real that people literally recoil from her news, afraid that it could be contagious. So much left uncertain. None of the guarantees you thought you had when you said you would and he said he would and… well, forever sometimes ends up not being as far away as we thought. I mean. Lives end unexpectedly. Sometimes better or worse ends up far worse than you thought. Sometimes "in sickness and health"... ends up with far more sickness than you had bargained for, not always physical illness. Sometimes it's mental illness. Sometimes it's spiritual illness - the human condition - sin - that creeps in to destroy the foundation of society - the family. Most of you know the rest of my story, for the most part, that I am a survivor. That although I am at times BROKE, I am never broken. God fit all those shattered pieces back together in my life… at least well enough for me to not only survive, but in many ways to thrive. To know that even as a single mom, by the Grace of God I am enough. To know that when I am weak, He is strong. To know that life. does. go. on. I'm not who I was when I took those first steps toward healing but God has been so good. As strange as it may sound... my first thought when I see that someone is setting off on a journey like THAT... is ... hold on, this is gonna be better than you EVER imagined. I pray that whether you're one who is shattered, trying to figure out how to put the pieces back together... or if you're a friend standing by with a broom and a dustpan, ready to help... I pray that God's Word would be as true for you as it has for me. I pray that you will find strength in the most unusual places. I pray that you would bear witness to what an amazing God He is... when we step out of the way and let Him do what He wants to do in you and through you. Have a wonderful Wednesday, y'all. I'm not sure if you have covered this regarding you back problems... but, I have a sister-in-law who has back problems. Her doctor told her to "get out of that recliner". According to him, a recliner is one of the worst things for a back problem. Now, that goes contrary to what I would think.. recliners are the best to me. But it may be something you could try, if you do use a recliner regularly. I am one of your oldest readers..back when you were on AOL blogging..I was there when you were blogging about your ex, your kids and your son who had horrible migraines and would have to rest frozen veggies on his head in the dark to keep from vomitting and when you first met Jen in CA and ya'll rode around in the red mustang with the top down in CA and when you moved to FL..wow its simply amazing to find you again! 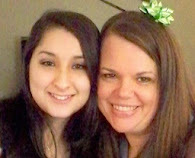 I loved reading your blog and your life, I felt like Heather was a friend. Of course I am going to spend the next however long catching up on this blog and I will most definitely be following! Once AOL shut down I was lost with finding everyone and seeing how everyone's journey was going..Super excited now! You were always one of my favorite bloggers! Awwww... thanks! You really made my day! Btw... me and Jen are still friends!